Freckles are flat, irregular spots that develop randomly on the skin, particularly on the cheeks. They vary in color but are always darker than the normal skin around them. They are more prominent in persons of fair complexion. There are many different causes of freckles but one main cause thought to be is repeated and prolonged exposure to sunlight but everyone is not equally sensitive to sunlight. This however, is not the only cause. Nutritional imbalance and genetic factors may also cause freckles. Some elderly persons may develop darker spots, which are different to freckles but at times may be mistaken for freckles. They are called liver spots but have nothing to do with the liver. It is just a name given to them. While liver spots are generally a function of old age, freckles are not. Freckles have a great cosmetic value particularly when they are on the cheeks otherwise they are harmless and pose no danger to general health. At times, however, they might be mistaken for another skin disease. Therefore, one should have them checked and evaluated by the dermatologist to be sure of what the spots are. There are plenty of products available in the market for external use, which can reduce the pigmentation and lighten or even eliminate the freckles. There are products that can hide them temporarily but hiding the freckles is not the answer. They must be treated properly. It is always better to consult the dermatologist or skin-care expert before selecting or using a product to treat the skin. 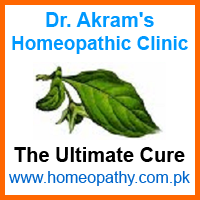 Freckles can also be effectively and conveniently treated by internal use of homeopathic medicines. Some of the commonly used homeopathic medicines to treat freckles are Graphite, Kali-carb, Lycopodium, Muric-acid, Natrum-carb, Phosphorus, Sepia and Sulphur etc. but you must consult your homeopath to choose correct medicine, its dose and potency suitable for you.